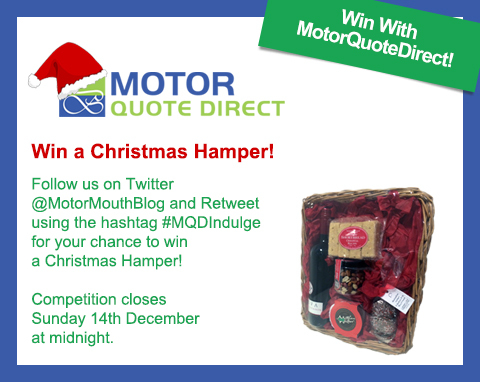 MotorQuoteDirect is giving away a Christmas Hamper! Everybody knows that during Christmas it is essential that you treat yourself to as much food and drink as possible, which is why most of us here at MotorQuoteDirect start strict diets in the New Year! However, while it’s time to spoil ourselves we have decided to give away a Christmas Hamper to one lucky winner on Twitter! Competition Time: Win a Meguiars Car Cleaning Kit! Take a good look at your car: is it covered in mud, rain marks and other questionable stains? 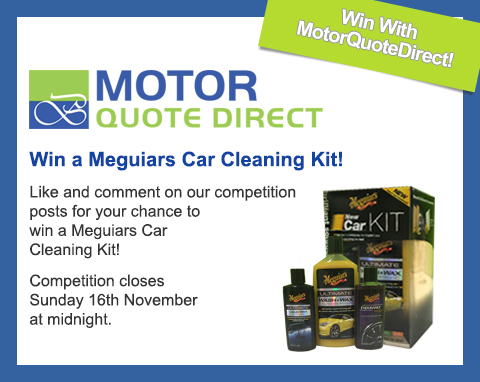 Then make sure you enter MotorQuoteDirect’s Facebook competition to win a Meguiars Car Cleaning Kit! Known as one of the most prestigious automotive brands in the world, this kit will have your car looking as good as new in no time. 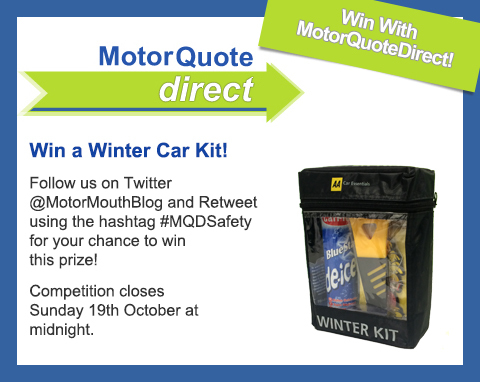 MotorQuoteDirect is giving away a Winter Car Safety Kit! Now that the weather is getting worse motorists need to take extra care while driving, however at MotorQuoteDirect we know that sometimes it doesn’t matter how careful you are as accidents do happen. 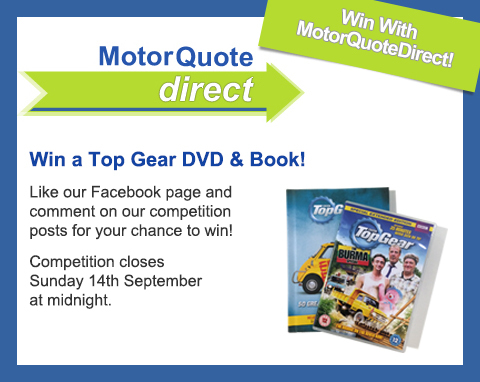 Win a Top Gear DVD and Book with MotorQuoteDirect! Here at MotorQuoteDirect we are huge Top Gear fans, and we know that many of our customers are too! This is why in this month’s competition we have decided to give away an official Top Gear DVD and book! Happy Travels! 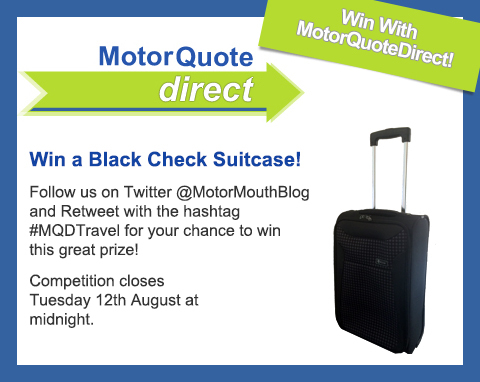 Win a Black Check Suitcase in MotorQuoteDirect’s Competition! The summer holidays are officially here, which means that thousands of families across the country are all preparing themselves for their upcoming holidays. However, at MotorQuoteDirect we know that packing for a holiday can be somewhat stressful as you have to remember a million things such as maps, suncream and toys for the kids. 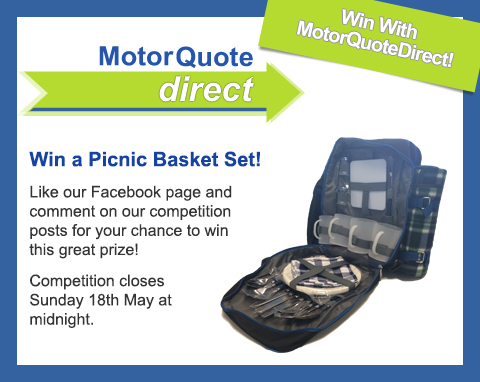 Win a Picnic Basket Set with MotorQuoteDirect! Here at MotorQuoteDirect we love the Great British summer tradition of taking a long drive into the country and then relaxing with a picnic. However, instead of having to try and find some plastic cups and paper plates for your next trip, we are giving away a complete picnic basket set so you can dine in style! 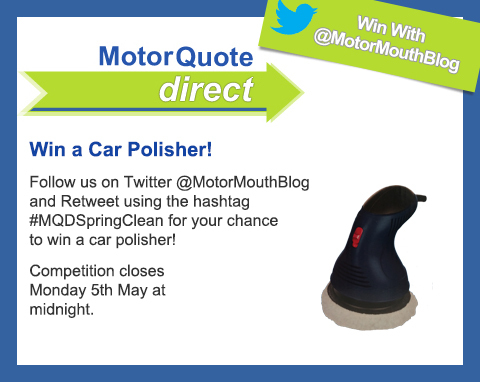 Win a Car Polisher with MotorQuoteDirect! With spring finally here it’s time for car owners across the country to give their vehicles a proper clean, however we know that this can sometimes be a difficult job, especially if your car is particularly dirty. This is why MotorQuoteDirect is giving away a car polisher to one lucky winner on Twitter! Win in the MotorQuoteDirect Father’s Day competition! Time to win! Here at MotorQuoteDirect we generally deal with vehicles with four wheels and an engine, however that doesn’t mean we don’t appreciate something a bit more quirky! This is why we are giving away a Segway Rally for 2 in our Father’s Day Twitter Competition! 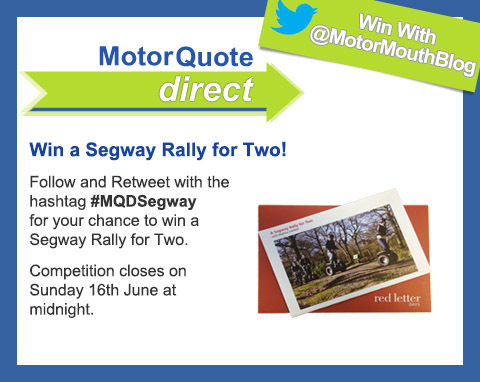 Entering is easy, just follow us on Twitter @MotorMouthBlog and Retweet using the hash tag #MQDSegway! Competition ends Sunday 16th June at midnight, good luck everyone! 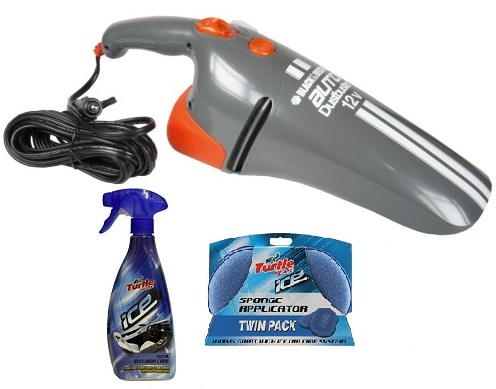 Win a Dustbuster (+extra goodies) For Your Car! We’re launching a brand new competition today at MotorQuoteDirect as we’re giving you the chance to win a Black & Decker 12v Dustbuster. This is a fantastic vacuum cleaner for your car and we’re not just giving 1 away, but 3!!! Win a Ferrari RC Car! 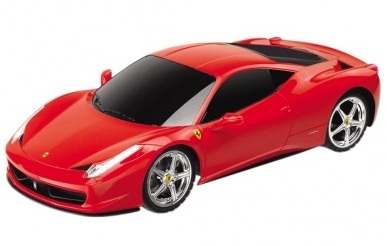 Here at MotorQuoteDirect we’re giving you the chance to win a Ferrari 458 Italia…RC edition! With the weather currently looking hot, now is the perfect time to get outside and enjoy the sun – and why not do it with a remote control car?